Our signature athletic reformer class strengthens and tones the entire body. By fusing the methods and teachings of the classical Pilates method with unique and focused training techniques, this open level class will define your core and sculpt your muscles while improving posture, flexibility and mind-body connection. This class teaches a deep level of intricate muscle toning that establishes the foundation for your everyday health and fitness. Get ready for 50 minutes of complete and total body exercise. A must for devoted Pilates students, this new class combines our exclusive Pilates Tower and Chair Workouts. Utilizing these two classic pieces of Pilates equipment, the class provides a perfect synergy of essential Pilates exercises. Jumpboard adds a cardio component to your Pilates workout. The jumpboard is like a trampoline. It’s an invigorating workout that will get your heart pumping! Why choose? Offering the best of both worlds, the Spin/Reformer class combines climbs, sprints, jogs, intervals and jumps to the beat of the music and Pilates Reformer exercises for the second half. An innovative, complete workout you’re not likely to find anywhere else! Please bring gym shoes or SPD compatible spin shoes for the spin portion. Suspension training supports all fitness levels and goals by letting you harness your own body weight to create resistance, while developing strength, balance, flexibility and joint stability simultaneously. A set of nylon straps creates resistance from two sources always at our disposal: your body weight and gravity. Combined with cardio and mat Pilates, this class is a total workout! Please wear gym shoes. Our amazing 55-minute high-energy, calorie-torching dance party! Combination of climbs, sprints, jogs, intervals and jumps to the beat of the music. It’s challenging, but it’s for everyone! Our Mat Pilates stretches and strengthens your body, primarily the muscles of the core, which span from your hips to your shoulders. ... But, the mat Pilates series of exercise is performed equipment-free, with the moves adapted to work with just your body and a floor mat for cushioning and support. Our Vinyassa Yoga provides students with asanas that fit the practice of every student, balancing and encouraging them to focus on their own practice and the breath. 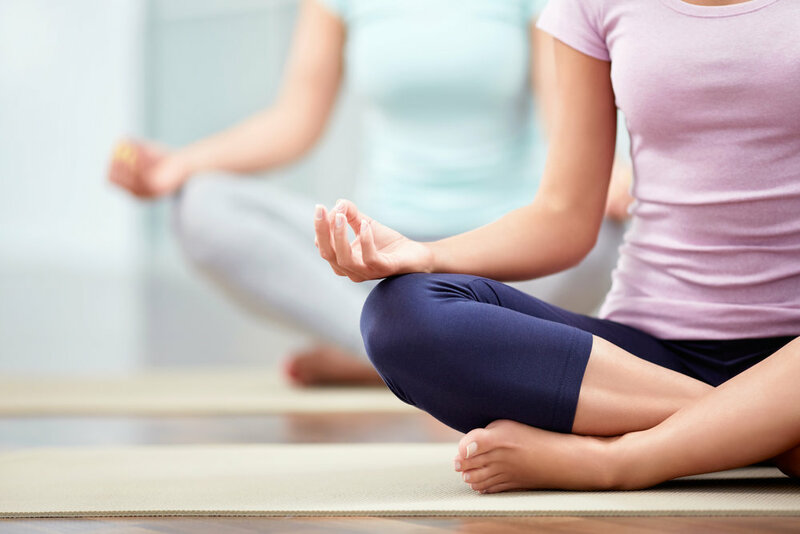 Our classes combine a strong emphasis on Pranayama (breath), Asana (posture), Agni (harnessing inner fire), Meditation, and the sound vibration of music.